Good luck reading this with dry eyes. Such a beautiful story! Notice a character error named. The book was very interesting. A little bit sad but I didn't cry. I have two favourite parts of the story. One is when Glen comes home. Second is Dennis' reaction when his mum asks him if he kissed Judy Kay after the Christmas dance. The thing that I found boring was the chapters with Glen at war. It was a good book but I found a little mistake on page 46 in last paragraph "Glen and Gordon looked through the suits..." it was Dennis who was with Gordon at that time. I truly loved this story. It is the perfect book for Christmastime. The story is beautifully told. Dennis was my favorite character. I loved how he treated his mom, with so much respect and love. It was touching how he wanted to get her the perfect gift and I loved how he was able to obtain it for her. That part made me cry. I enjoyed the point of view switches between Dennis and Glen. The author does a great job showing the hardships of war, for all involved. How hard it is for the soldiers and those left at home worrying. Dennis's father, at times, really frustrated me, but I appreciated him more when I understood his side. The scenes with Glen at war were written well, one particular scene that had the tears flowing. I loved how the family was able to come together, as they are waiting to hear Glen's fate. The time period was a character itself. I really enjoy stories about World War II. Dennis and Glen's mother, Norma, was a great character. No matter how hard things were, she always remained positive. She sacrificed so much for her family. I received a hardcover copy from the publisher in exchange for an honest review. I enjoyed these characters. I want to see more about them. It made the war seem real and showed what the families back home went through too. The story was told from two sons perspective. Glen the oldest is away on the battlefront in 1944. Dennis is a fifteen year old who works and goes to school. The war changes the lives around them so much. Both Glen and Dennis grow up faster. Dennis wants to buy his mother a special Christmas gift this year. He is willing to work longer and more often. There family is from a hard working family with good points and bad. The father is a mechanic and the mom is a housewife. With four children. Things are tight around the house and with rationing makes it hard to get the things you need. There is a secondary character that I would like to know more about her. She meets Dennis and helps him but by doing that helps herself too. I admit to crying in a few places. I cared about these characters. The images of the battlefront really happened to so many people in that war and every war. I have not read a book by Dean Hughes in along time but I now want to go and read some more books by him again. Home and Away is a touching story about a family during WWII. It is a quick and clean read, and I found myself even more interested in the story as it took place in my home state. Dennis was a great son. I love how he stuck up for his mom and wanted to give her a nice present for Christmas. Money was so tight, and his willingness to sacrifice for her really meant a lot. He definitely had his faults, but it was great to see him grow and overcome some challenges. His dad was a tough character to love. It was hard to relate to him, but his behavior was somewhat understandable. At times you really felt for him too, and I was very happy for the changes that took place by the end of the story. It was interesting to read about some of the different perspectives about serving in the war. It was a tough time to live in, and I was glad that Dennis' eyes were opened. The war chapters were pretty sad, as you'd expect. But they showed the importance of family as Glen was able to be comforted thinking about home during the hardest times. If you enjoy historical fiction, and are looking for a story to fit with the Christmas season, be sure to check out Home and Away. I listened to this book and was somewhat intrigued along the way. The story was kind of interesting. But it certainly isn't a classic and the message is contrived. Using the good, better, best scale I suppose it is "good"
I didn't recommend my wife take the time to read or listen to it compared to so much better and best material available. I love this time of year, it seems that everyone is much kinder and happier around the holidays. That's probably one of the reasons that I love reading books about this time of year so much! And this one is one of my favorites that I've read. This book is set during World War II, that's one of Dean Hughes' specialties, he does such a great job making that time period really pop off of the pages. 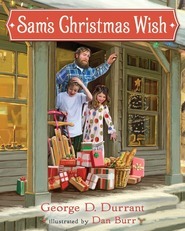 Dennis is at home with his family trying to make Christmas special, especially for his mom, the whole family is having a hard time because Dennis's older brother Glen is serving in World War II and most of the time they have no idea where he is and they are never sure if he's okay or not. I loved that most of this story is through the eyes of Dennis, he's a sixteen year old, he has a job. But school and friends are at least a little bit important to him...and that ends up getting him into a little bit of trouble, with his dad especially but also financially. I also loved that you see things through the eyes of Glen so you understand just a small portion of what some of those boys went through as they were stationed in Europe during the war. It's hard for me to really imagine the fear and discomfort those boys must have felt or the agony their parents and families would have gone through not knowing anything that was going on, but I think I saw a small taste through this book. 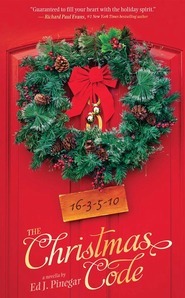 This book is an amazing story of love, Christmas, and charity. I loved reading this book, and I know you will too! This story is about the Hayes family and takes place during World War II. The oldest brother, Glen, is with the army's 101st Airborne Division, fighting in Europe. For the rest of the Hayes family, money is tight and Christmas is approaching. The story alternates between Glen and Dennis. Dennis is 16 years old and gets a job so he can buy nice gifts for his family this year, especially his mother. His relationship with his father is strained and he doesn't know why. He also struggles with fitting in with his wealthier friends, especially Judy Kay McCune. I was especially touched with the gift he bought his mother and his experience with the sales woman. Glen's war experiences are hard to read at times. He's gone through so much and has been forever changed. War is tough and gruesome and he starts questioning the point of it and is resigned to the fact that he will most likely not make it home. I was glad I started this when I had time to keep reading it so I was able to finish in one sitting. This is a touching Christmas story and I cried as it came to a satisfying conclusion. This is the type of story I love to read this time of year and will read it again and again in the years to come! 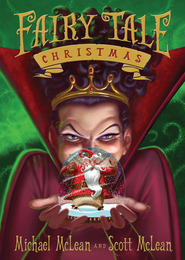 This is THE Christmas book you must buy this year for your famiy! Once I stopped crying after reading the end of the book, I started writing this review. The actual review is not posting for another week, but I had to write down the emotions I was feeling right now. First let me say, if you buy any new Christmas book this year for your family, Home and Away: A World War II Christmas Story by Dean Hughes is the book to buy!! Now, this isn't the first time that a Dean Hughes story has made me cry. No, he is responsible for many tears shed at my house through the years while reading one of his many novels. I can guarantee that this story will touch your heart, whether or not it's Christmas time, but it will make it just that more special to read during the holidays. This story is one that will make you appreciate your family more, your freedoms, and those who are in the military. The spirit of Christmas is strong in the book as the Hayes family is preparing for Christmas. With the war on, supplies and money are scarce. Middle son, Dennis, is going to high school and working an after school job to earn money to buy something nice for his mom for Christmas.His older brother is off fighting in the war in Germany and the family worries if they will ever see him again. This book shows the many miracles and gifts that can be found, especially at this time of year. This book is so heart warming that it is the perfect family read-aloud for this Christmas. I know that is exactly what I'm planning on doing this December.